Photo courtesy of Monet Nicole photography. In some ways I feel like I have always been a midwife. I felt my "calling" after giving birth to my first child at home in 1995. I wanted to provide all pregnant women with the same gentle, respectful, empowering, and individualized care that I had received from my midwife! As a midwife, I believe that our bodies are meant to be able to give birth to our babies. We women need education, support, respect, freedom and the feeling of safety to do so. My clients hire me to help them with THEIR birth. It is my goal to help them have the best possible experience! I completed a 3 year comprehensive academic & didactic program, attending classes at the Springs School for Direct Entry Midwives. During that time I also completed a 2.5 year clinical apprenticeship, ﻿attending nearly 100 births, with senior midwife Jeanie Rosburg﻿, at the Springs Area Midwifery Center. After completing my basic skills and academic requirements, I then completed a 2 year internship at the Colorado Springs Midwifery center; attending another 50 births as a primary midwife, under the supervision of two senior midwives. When I had meet all the requirements set forth by the North American Registry of Midwives (NARM), I sat for a, 8 hour Clinical Skills Exam followed by an 8 hour Written Exam. I was then awarded the credential Certified Professional Midwife and became registered to practice in Colorado. I also concurrently attended classes at Trinity College, graduating in 2005 with a PhD in Naturopathy. I love to combine my experience and knowledge as a Naturopath, and my previous 13 years as a licensed massage therapist, to help my clients have healthier pregnancies, births, and postpartum recoveries! As a CPM (certified professional midwife) my training and experience pertains exclusively to out-of-hospital birth. 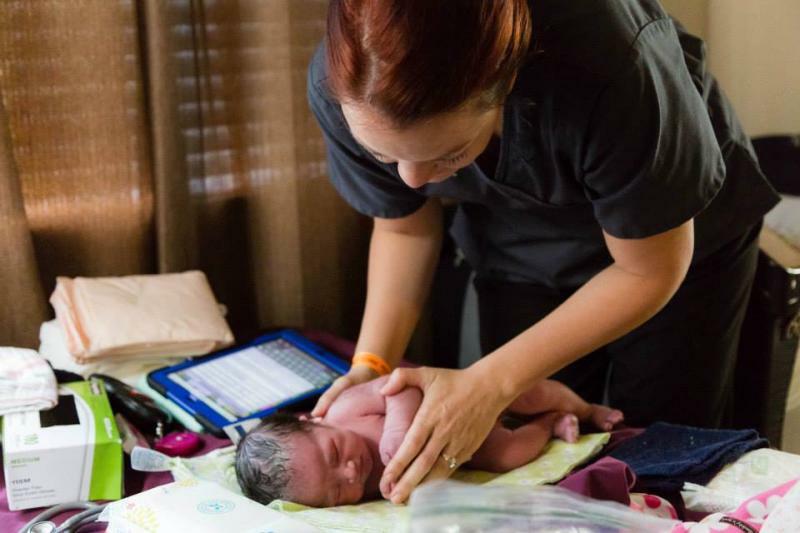 This is different from primarily hospital-trained midwives, who may have difficulty adapting their practices to an out-of-hospital setting. There are safety considerations, logistics, and equipment for home birth, that I am very well versed in! I maintain a smaller, private practice, rather than a large group practice or partnership. That means that the midwife you hire is the same one who will follow you throughout your pregnancy, attend your birth, and provide 6 weeks of postpartum care for you and your baby! I also don't have an office staff, so when you call, you talk to me directly, 24/7. None of the hassle of trying to get through to your care provider! I have spent many years creating good collaborative relationships with OBs, MFM offices, Pediatricians, Family Practice Physicians, Radiologists, Physical Therapists, Chiropractors, Lactation Consultants and other various healthcare practices in the Colorado Springs region, so that I can consult or refer my clients to the right provider, as needed. I have accounts with 2 of the major Labs in town (Quest and LabCorp). I am able to perform all lab tests (including blood work, Pap smears, and cultures), and even ultrasound in-office. I try to make life easier for my clients, rather than sending them all over town! I also continue to offer routine well-woman care, even outside of the pregnant/postpartum timeframe. On a fun note, I like to spend my spare time preparing natural remedies, balms, suppositories, ointments, extracts and sprays that I provide to my clients throughout pregnancy and postpartum, as needed. My line of natural mom & baby care products (Organically Born, llc) has become so popular with my clients, that I eventually opened up an Etsy store so they could buy items for friends and family! I typically schedule the first appointment at around 10-12 weeks gestation. We see each other every 4 weeks until your 28th week when it moves to twice a month. At 36 weeks, we will schedule a homevisit to make sure your home is prepared for the birth, and from there we will schedule weekly office visits until your baby arrives. I will return to your home to check on you and the baby, between 24-48hrs, following your birth. Then we will schedule 3 more office visits for the next 6 weeks postpartum. More postpartum appointments (home or office) can be scheduled, if needed. What do you do with the mess? I actually get this question a lot! 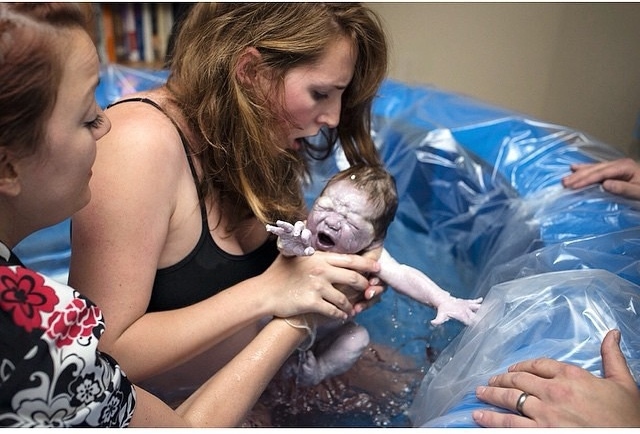 Birth is not quite the mess your see portrayed on TV. We can protect your bed or carpet with waterproof liners and pads, which is easy to clean-up. My assistant and I will take out your trash and run a load of laundry for you before leaving your birth. We want to leave your house just as clean as we found it! I am contracted with a very experienced 3rd party insurance billing agency, who has contracts with most major insurance companies. As my client, I will do a free Verification of Benefits to help you understand the minimum coverage you can expect for your birth (it may be much more). You are required to pay your deductuble by no later than 34 weeks. We will file a claim with your insurance, following your birth. In many cases, coverage is better than expected! Recent clients have even received excellent reimbursement from difficult insurance companies, like Kaiser and Aetna. United Healthcare, Cigna, Humana, UMR, and Blue Cross/Blue Shield are some of the companies we frequently work with. If you aren't certain of your coverage, feel free to ask! Communicating with insurance companies can be a stressful, and we are happy to take the hassle out of it for you. HSA and Flex accounts, and Medical Sharing programs (Samaritan Ministries, Medi-Share, Christian Healthcare Ministries, Liberty Healthshare, etc) cover midwifery care as well. Sorry, NO Medicaid (aka: Health First Colorado), CHP+, or TriCare. However, I do offer Active Duty discounts and affordable, extended payment plans, to help you have the birth you desire! Dont be afraid to ask! I sure do! I have several flexible cash-pay options for payments. I require a 10% deposit upfront and the entire balance is due by 34 weeks. I offer a $200 discount for early pay-off and an additional $50 discount for cash payment. Active duty military and repeat clients can expect a 5% discount as well. I am open to bartering, if it is mutually beneficial. I also accept all major credit cards and HSA debit cards. I file all the necessary paperwork to register your baby's birth with the State of Colorado. The Social security card will be automatically mailed to you, and I will provide you with the request forms to obtain a copy of the birth certificate. Birth is safe. Unlike injury or disease, birth is a natural process that our bodies are meant to go through. 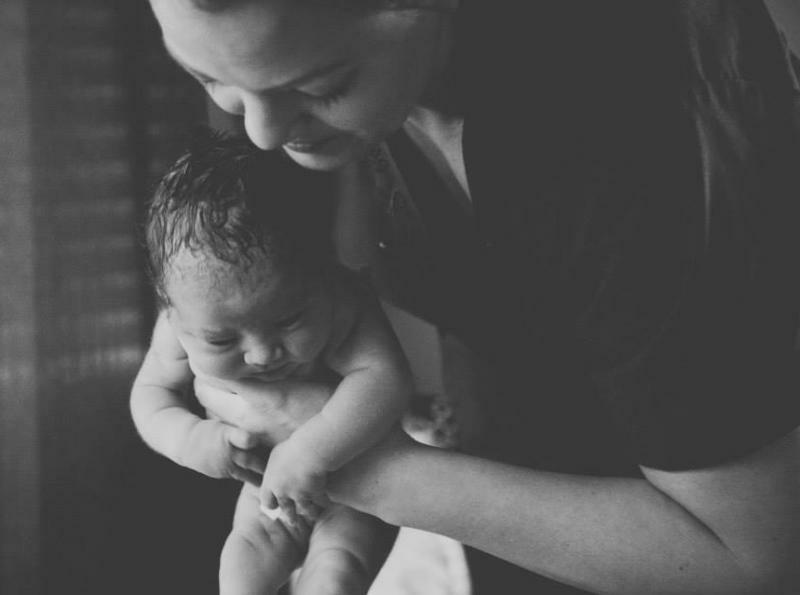 Several studies have been done recently about the safety of homebirth for low-risk women. They have proven that the outcomes at home (for both mother and baby) are as good, or better, than the same group giving birth in the hospital. There were also fewer interventions in the homebirth group. What if something "goes wrong"? A common mistaken belief is that things could suddenly "go wrong" at a birth. More often than not, there are signs early on that something is amiss. Midwives are trained to monitor and prevent most of these situations. If an emergency does present itself, I carry a variety of emergency equipment ( including IVs, medications, oxygen, suture materials, etc), and have the skills and trainging to use them. My assistants and I are all current on our CPR and Neonatal Resuscitation certifications. I am also S.T.A.B.L.E. and B.E.S.T certified, enabling me to provide concise, accurate, and effective emergency care for mom or baby, if needed. Most minor emergencies are dealt with easily at home. If we felt that more specific care was needed, we would transport you to the hospital, after calling ahead to prepare them for your arrival. I meet with a team of hospitalists at UC Health twice yearly, to make referrals and transfers of care as smooth as possible. All that being said, my transport rate (transfer to the hospital in labor) has been only 1.7% for the last 4 years! What sort of emergencies have you dealt with? While I wouldn't consider them all "emergencies", I have seen and dealt with a number of unusual situations; ie: cord around the neck, quintuple nuchal cord, broken/torn umbilical cord, cord knots, velamentous cord insertion, abrupted placenta, cervical lacerations, retained placenta, placenta previa, placenta accreta, Chronic Hystiocytic Intervillositis, IUGR, surprise twins, unexpected breech delivery, shoulder dystocia, compound presentation, transverse lie at term, preterm labor, chorio-amnionitis, oligohydramnios, polyhydramnios, Thrombophlebitis, pre-ecclampsia, HELLP syndrome, PUPPPS, gestational diabetes, ICP (Intrahepatic Cholestasis of Pregnancy), Rh sensitization, hematomas, Preganancy Induced Hypertension, fetal distress, newborn needing resuscitation, respiratory distress, MAS (Meconium Aspiration Syndrome), SGA (small for gestation age) infant, GBS sepsis, hypoglycemic infant, gastroschisis, Hypoplastic Left Heart Syndrome, various birth defects, postpartum psychosis, 3rd and 4th degree lacerations, maternal hemmorhage and shock. Some of these were handled at home, others were transported to the hospital appropriately, all with healthy results for both mom and baby. Yes! I can order and administer any of the routine medications that you might need during pregnancy and birth. For example: RhoGam, antihemorrhagic medications (such as pitocin, methergine, cytotec), Vitamin K for baby, erythromycin (antibiotics), lidocaine (for numbing), IV fluids, etc. I also provide my clients with natural remedy recommendations for most minor health issues. Prevention is key! What if I tear during birth? First of all, I direct a lot of energy towards preventing tears during the pushing phase. We use warm compresses, oils, gentle massage, and encourge slow decent of the head. With these techniques, I rarely see significant tearing. However, if you do happen to have a small laceration, I am licensed to do the repair for you, in your home! I carry sterile suture, equipment, and lots of good numbing medication. I will also bring you a sitz bath and some of my perineal care products to aid with healing. We will assess and stabilize your baby as needed immediately following the birth, determine APGAR scores, etc. At about 1-2 hours postpartum we will do a full newborn exam, including weight and measurements. If you approve, vitamin K and antibiotic eye ointment will be administered at that time. We also provide well baby care for 6 weeks postpartum including weight checks, jaundice levels, feeding pattern assessment and the newborn screen (PKU) which is typically done on day 1-2 and 8-12. I will refer you to an excellent pediatrician for vaccines and circumcision, if requested. Can you attend a VBAC (Vaginal Birth After Ceserean) at home? Yes, I can! However, there are strict guidelines about home VBACs. You cannot have had more than 1 c-section, without an intervening vaginal birth. We will need for no less than 18 months to elapse between your C-section, and your planned VBAC. I will need to review your surgical records, to verify that you had a low-transverse incision, and a double layer closure (the safest type). As long as you fit this criteria, I am happy to attend your home VBAC! What do I need to have at my home for the birth? There is a small list of supplies that you will need to gather for your birth. Most of these items are normally found around your home, and some may need to be purchased from Walmart. If you prefer, you may purchase a complete personalized birth kit. If you are planning to use one of my inflatable or AquaDoula tubs for a waterbirth, you must purchase the waterbirth kit prior to your 36 week homevisit. (Ask me for a 10% discount code for your order). In addition, you may want to have candles, music, or essential oils handy. Remember, it's your birth and you can set the mood however you want!